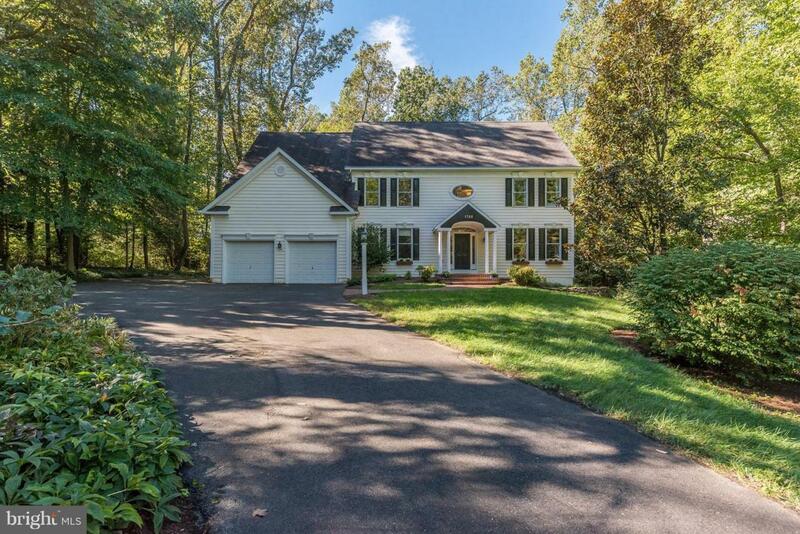 1722 Deacon Way, ANNAPOLIS, MD 21409 (#1009954642) :: Arlington Realty, Inc.
Price repositioned on this Beautiful Colonial built by Baldwin Homes. Open foyer with spiral staircase, soaring ceilings and an abundance of windows. Two tone gourmet kitchen w/ massive granite kitchen island, gas fireplace, built-ins throughout. Monumental master suite with tray ceiling, sitting room, walk in closets and luxurious master bath. All bedrooms have an en suite. Lower Level guest room w/ full bath, wet bar/kitchen area, large second family/recreation room. Over 4,700 sq. ft. Fenced in yard, stone patio, protected deck area great for relaxing and entertaining, backs to over an acre of flat open yard. Home features above ground in-law apartment/au pair with kitchen and full of light and windows. Large amount of extra storage. Very close to The Meadows. 33 miles to Washington D.C. and 28 miles to Baltimore. Blue Ribbon Schools.